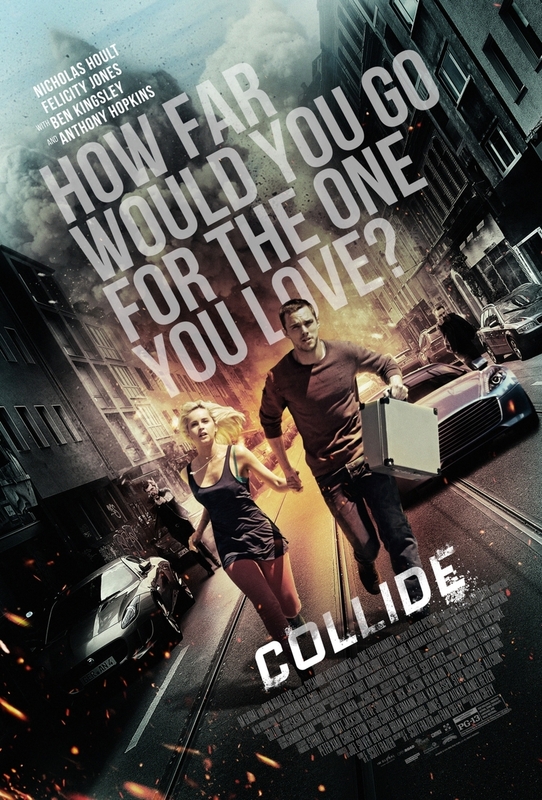 Collide DVD and Blu-ray release date was set for May 30, 2017 and available on Digital HD from Amazon Video and iTunes on May 16, 2017. Casey Stein, an American tourist in Munich, Germany, needs cash fast when his girlfriend, Juliette, suffers a medical emergency. He schemes with a local gangster, Hagen, offering himself as a getaway driver for a drug heist. When the heist goes bad, Casey finds himself on the run, speeding across German freeways with an evil drug lord and his former boss in a race against time to save the life of his girlfriend.